I think Congruent Triangles is my favorite unit of Geometry. 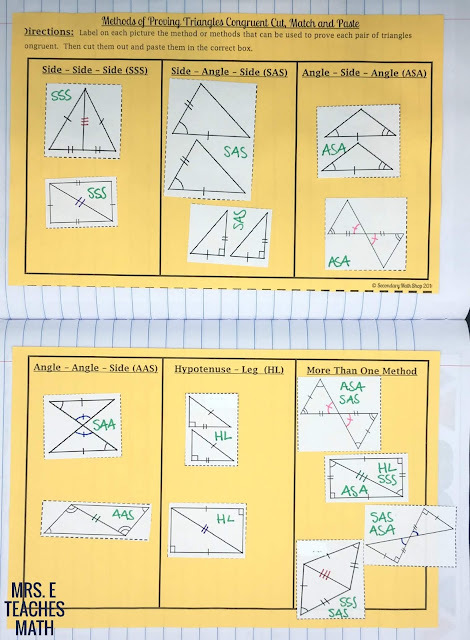 I also really like Right Triangles… Anyway, I wanted to share some of the interactive notebook pages that I used from this unit. 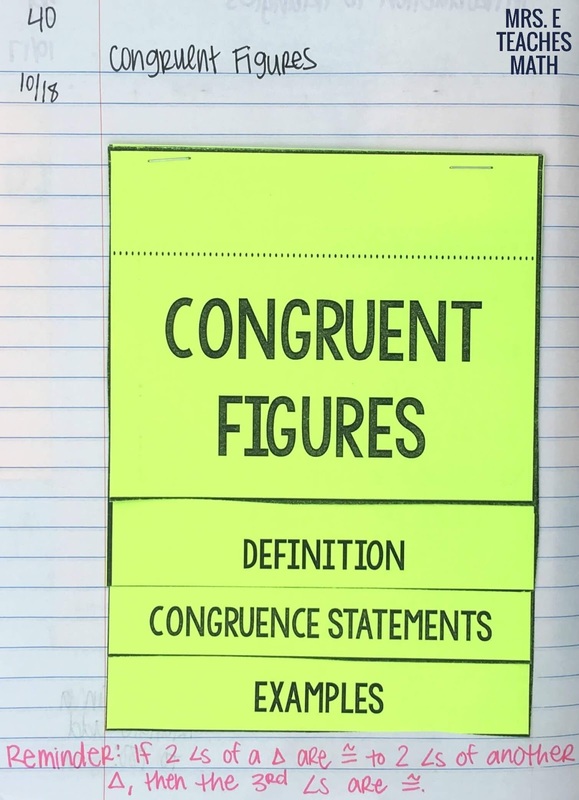 First, I created a flip book for congruent figures. It was the perfect lead-in to congruent triangles. 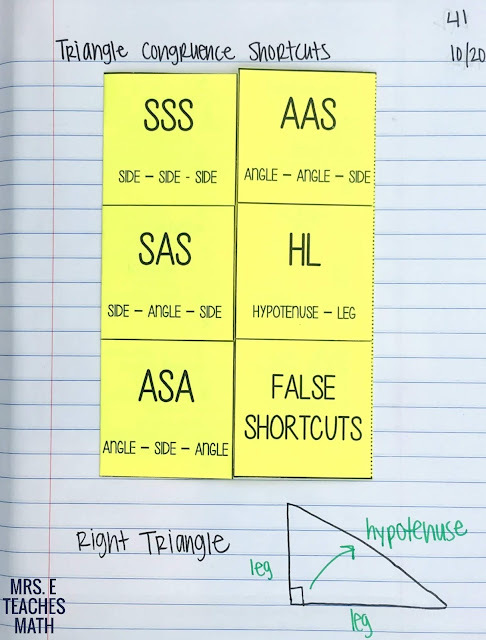 I still highlight parallel lines and the transversal for student to see the angle pair relationships. I think it still helps them to see the relationships. Some of them get so overwhelmed by the diagrams that they need it simplified. Next, I used my triangle congruence foldable. The definition and an example are under each flap. I had my students draw the parts of a right triangle at the bottom of the page as a reminder. 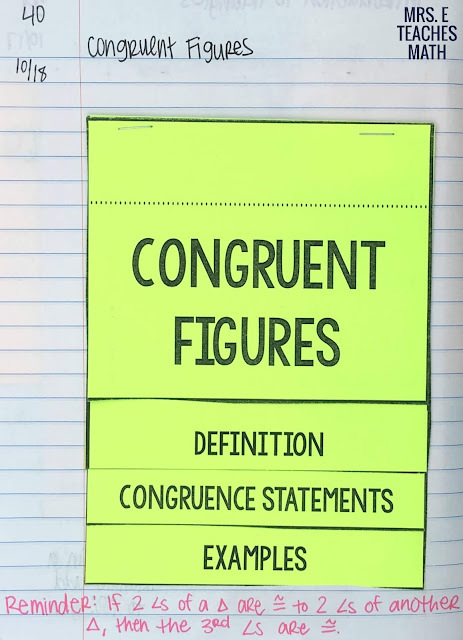 I taught the triangle congruence shortcuts over two days. The first day I did SSS and SAS. 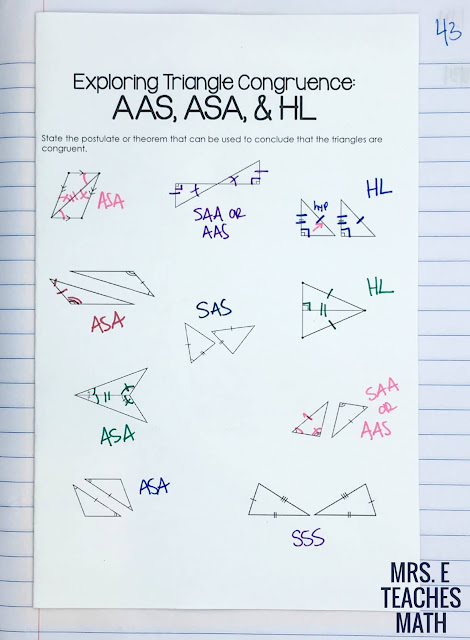 Then, I did AAS, ASA, and HL on the second day. I created (ugly) hamburger books for practice. The front was a bunch of copied and pasted diagrams from different places. Then, inside I had a bunch of screenshots of proofs. I wish I had time to type out a prettier version, but that’s going to have to be a summer project. 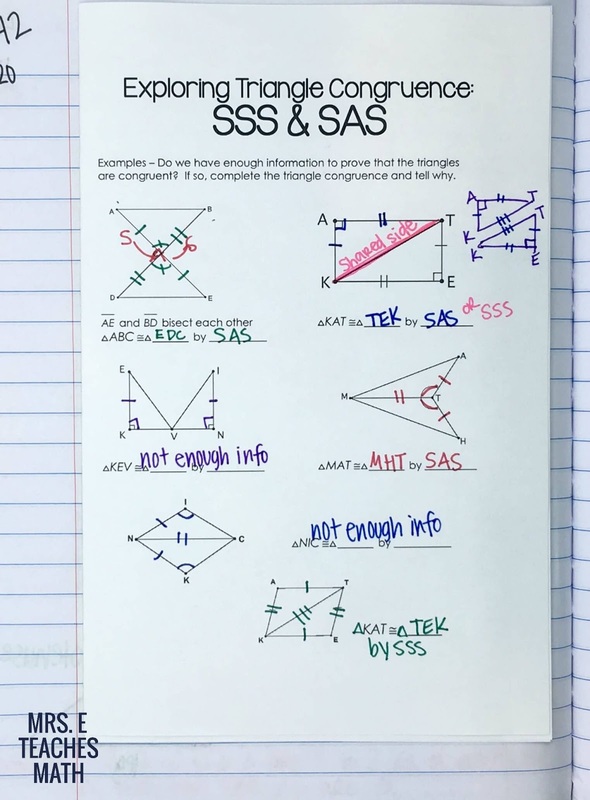 You can read about some of the hints I use to help my students. As a review, I used this cut and paste activity from Secondary Math Shop. I’ve used a version of this activity before, but I liked the interactive notebook version of this activity this year. I had my students work with a partner to make sure their answers were correct. Then, I displayed the answers. I also required that students mark all the diagrams. Next, was CPCTC. I forgot to take pictures of those pages, so I’ll post them once I do!